We’re very excited to announce our founding board of directors, a group of esteemed Philadelphia professionals and educators, without whom our efforts and services would not be possible. Gail Silver founded The School Mindfulness Project® in 2016 after fifteen years as Founder and Director of Philadelphia’s Yoga Child. As director of Yoga Child, Gail develops its school-based yoga and mindfulness curriculum, facilitates training programs, and trains educators to teach yoga and mindfulness in Philadelphia schools. Gail is also the award-winning children’s book author of Mindful Bea and The Worry Tree (Magination Press, 2019) and the Anh’s Anger Children’s book trilogy (Parallax Press, 2009, 2011, 2014). Lauded by Publisher’s Weekly as “A Winning Series,” the trilogy teaches children to navigate their stronger emotions through mindfulness and meditation and is enjoyed therapeutically and in classrooms across the country. 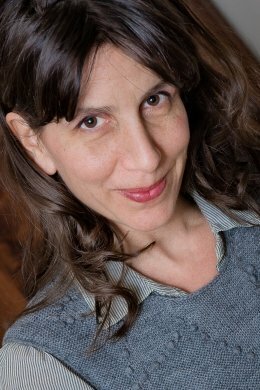 Learn more about Gail and her mindfulness books for children at gailsilver.com. A contributing writer to Lions Roar, and screenwriter of the animated family film, Planting Seeds of Mindfulness, Gail has traveled nationally and internationally to facilitate yoga and mindfulness based education and trainings. Prior to becoming a yoga and mindfulness educator in 1999, Gail was a child advocate attorney for the Defender Association of Philadelphia. Gail is humbled to have had her work earn a steady stream of accolades and recognition, including Best of Philadelphia awards, a Parents Choice Award, and a Skipping Stones award for Multicultural Awareness. Mostly, she is excited to bring her experience sharing mind body programming with youth, to The SMP. The School Mindfulness Project® is a 501(c)(3) organization. The School Mindfulness Project® is located in Philadelphia, PA 19147 and provides services to schools in Philadelphia and the Greater Philadelphia region. Copyright ©2017 The School Mindfulness Project. All Rights Reserved.